It’s difficult enough learning how to fix a leaking skylight on a flat roof on your own. However, it really is much harder learning how to install skylight on flat roof. You’ll need to invest much time and effort, but if done right, you can save so much from installation and material costs. In this short guide, you’ll learn how to install a skylight including how to felt around a skylight and rubber roof around a skylight. Then, you’ll learn about skylight flashing and how to frame a skylight. Indeed, this is the full guide on how to install skylight on a flat roof! The first step on how to install skylight on flat roof is to make the necessary measurements where possible. The right skylight placement should complement the lighting indoors. Skylights can make a difference in the beauty of flat roof residential properties. To make things easier during installation, choose skylights with pre-soldered tips. This will help you install them easier and faster. You may need to ask an architect to help you design a capable mounting curb. It has to raise the skylight at least 4 inches from your roof’s surface and tilts it at an angle of 10-15 degrees. True enough, your design will undergo numerous revisions and professional consultations before you can finalize the design. Flat roof skylights give properties more flexibility in terms of design — just make sure the foundations are properly designed and installed! 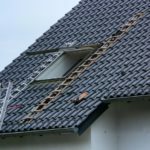 Once your design is finished, don’t cut your roof just yet! You’ll need chalk line and polyurethane chalk to draw the lines across your roof. If your chalk doesn’t leave its imprint, use thin marketing tape to help you mark your outlines. When it comes to how to install skylight on flat roof, markings are important. This helps you visualize the final result of your design and whether you’ll need to make last minute changes and calculations on paper to make sure your flat roof skylight appears as you desire it. 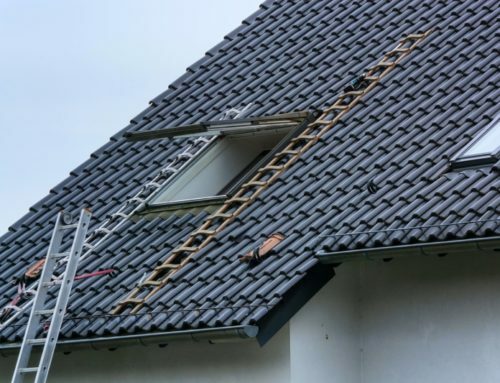 If you cut your roof before you are even done with the measurements, you cannot backtrack your steps leaving you with a spoiled roof in the process. Your flat roof residence can have a flat-roof style skylights during your design phase! With all the pre-cutting finished, it’s time to start cutting your roof. 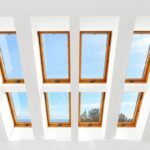 To learn how to install skylights properly, you must cut away at the ceiling underneath the skylight measurements and not at the roofing material itself (yet). The reason: you’ll end up with debris messing up the internal ceiling insulation and wiring, which will cause havoc and additional expenses for repairs and replacement. 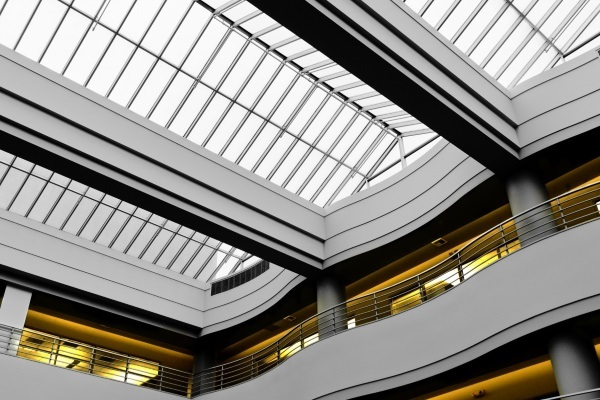 In the event you encounter ceiling rafters, you can brace them to lock them in place and keep them out of the way until you frame your skylights. Damaging your rafters can result to ceiling collapse. Next, cut off roofing materials at skylight location. Use a precision saw to remove the roofing materials accurately and without too much residue. 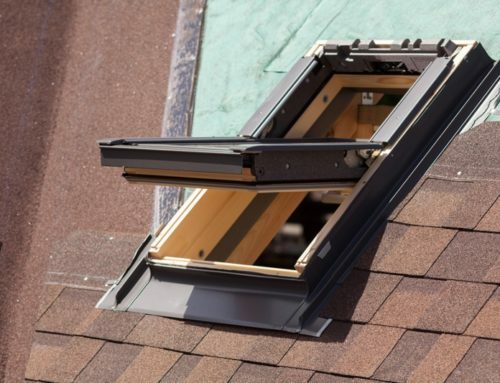 Before you can install your skylights, you’ll need to make sure the frames are set and installed properly. This is one of the core steps on how to install skylight on flat roof. Your skylight framing detail installation must have header joists perpendicular to your skylight hole roofing joists. You can use 2×6 boards to install the frames, which will secure the mounting curb on your design. This is a task laborious as cutting your roofing material and internal ceiling, so take care and take it slow and steady. Lastly, make sure the boards are secure and capable of carrying your future skylight’s weight. Hammer nails and secure fasteners during your double and triple checks. A usual skylight only needs a good set of secure skylight joists. However, if you’re planning for grandiose and bigger designs, you’ll need better foundations than 2×6 wood. It’s ironic that how to install skylight on flat roof has the crown step — installing your Brantford skylights — at the nearest final steps. 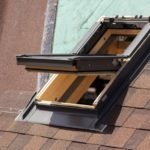 However, the skylight foundations play a crucial role to make sure the skylight itself does not collapse, introduce leaks, or eventually fail in the future. At this point, you’ll only need to lay down your skylight on the frame. Then, secure the entire thing with screws and nails. Next, you’ll be left with a bare shaft. The best way to cover this is to slip tar paper under the old shingles or roll roofing. Then, you can lay new shingles or roll roofing on top of the tar paper. 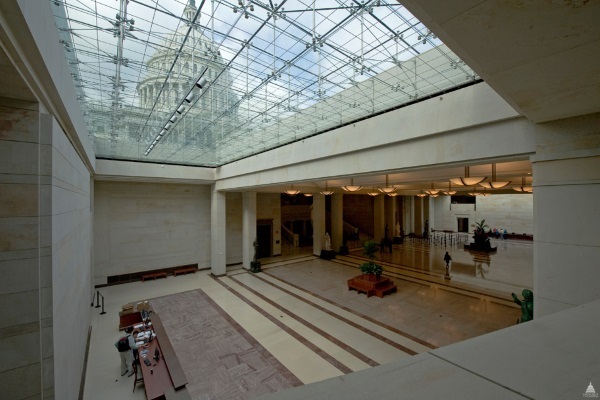 In doing so, you secure the skylights against possible leaks and water damages. Your skylight is almost complete. At this point, you’ll need to make sure it doesn’t drip water into the internal ceiling. You’ll need to place a water/ice barrier around the skylight perimeter. To make sure the barrier stays in place, secure the perimeter with additional sheet metal flashing. You can choose to paint over your flashing with acrylic or elastomeric paint for additional protection and longevity. In doing so, you help create a watertight seal too. How Do I Replace an Existing Flat Roof Skylight? True enough, you’ll only need the steps listed here along with a complete removal of your old skylights. 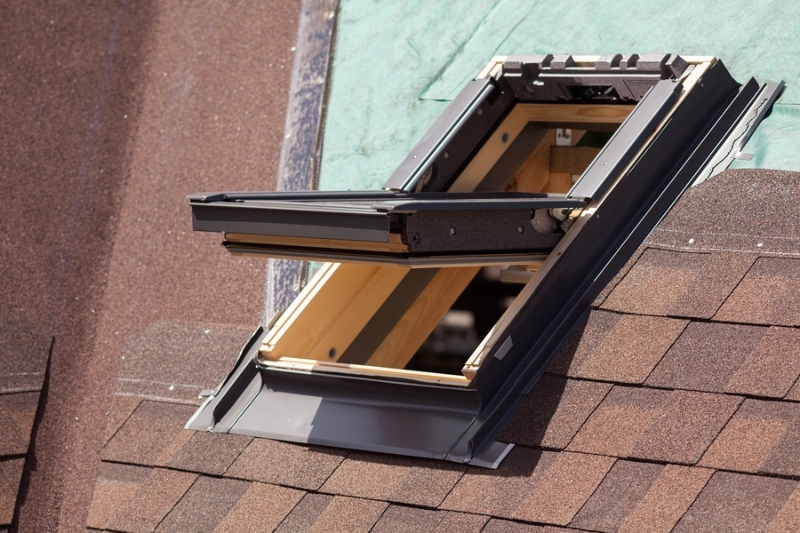 In addition, you’ll need to conduct additional skylight frame repairs for possible damages during tear-offs. True enough, you’ll be dealing with a lengthy replacement process than installing a new skylight. 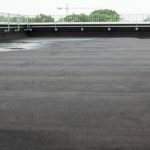 Do I Need Long-Time Experience to Install Skylights on Flat Roofs? True enough, skylights take much time and effort. Additionally, you’ll need the right equipment to ensure the accurate installation of your skylights. 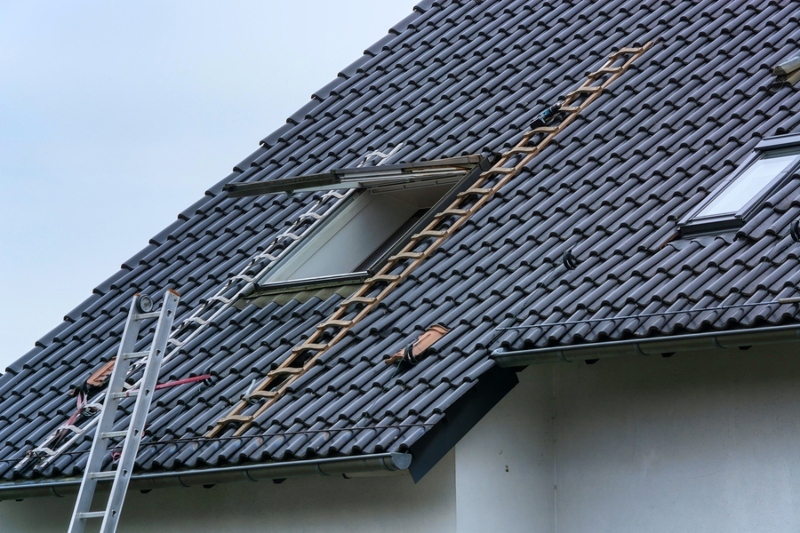 Because most Brantford homeowners have low experience in roofing, the project may be prone to delays due to errors and problems. 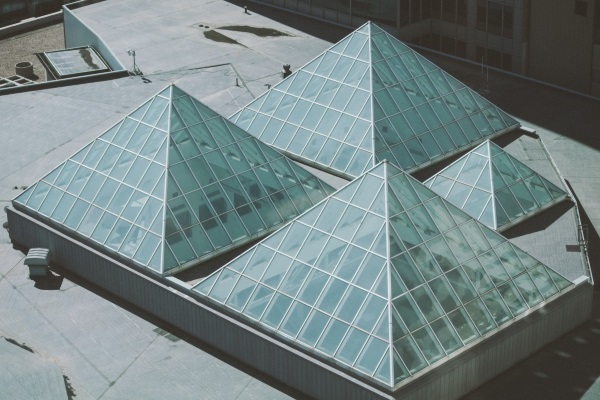 To make sure your skylight installation on flat roof goes smoothly, work with experienced contractors who can handle the entire design and installation of your skylights. If you have yet to find a roofer, you can count on Straight Arrow Roofing for your skylight installation needs. 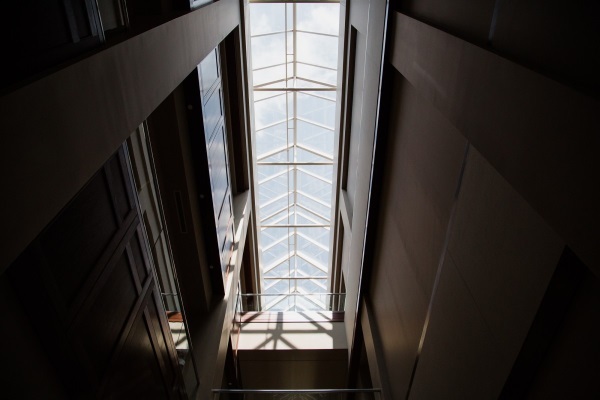 We have decades of experience handling skylight roofing designs and installations. Contact us today!